Edition of 230 copies, picture 7“ vinyl. 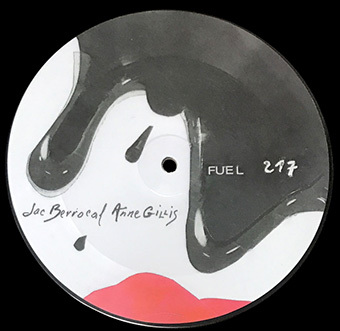 Side A presents "Fuel 217“, a collaboration between Anne Gillis (oil can de Dion-bouton) and Jac Berrocal (pocket trumpet). Side B is a reissue of a collaboration between Jacques Doyen and Jac Berrocal on a text by Allen Ginsberg that was released on the tape compilation "Paris Tokyo" in 1983 on the Tago Mago label.